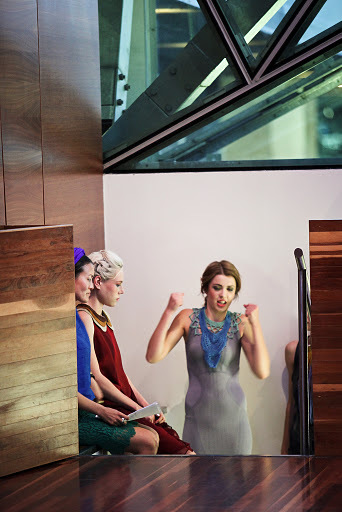 Did you make it to the http://moralfairground.com.au/fairfashion.html last Friday night? If you did (and even if you didn’t), maybe you’d like to find out a bit more about the featured labels. As you know, I organised the whole thing, so yes, I could have arranged for our amazing MC Em Rusciano to talk about each brand, but there are so many great stories behind them that she’d still be talking now if we’d gone with that plan. 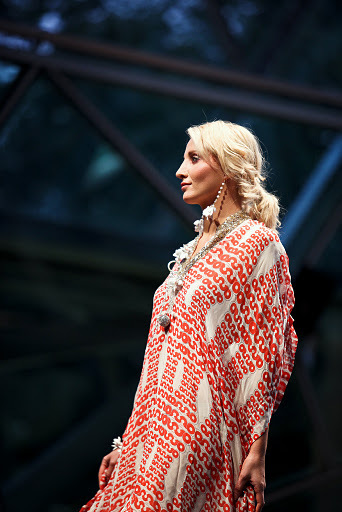 The show featured fair trade, ethical and sustainable labels, all with different approaches to making the fashion industry fairer and greener. I’m not saying any of them are perfect, but the point is that they are all making an effort to offer consumers an alternative to mass-produced fashion which all too often is produced in questionable conditions which are too numerous and diverse to go into here. If you want to find out more, this book by Lucy Siegle is a good starting point. Anyway, enough doom and gloom – on with the show! These looks are by Georgia McCorkill of The Red Carpet Project. Georgia hand sews unique designs from remnants of bridal fabric and some of her dresses are made so that they can be reworked at a later stage, changing with the wearer’s tastes (some of whom are celebs, hence the “red carpet” element). Bhalo is a fair trade label handmade in Bangladesh. It’s all beautiful (but simple) stuff so I jazzed it up with hairbands, bangles, hairclips (used as brooches), shoes and clutches made from vintage kimono by Dames & Divas. Yes, there was a bit of a Frida Kahlo look going on! I couldn’t resist! And I chose the song Streamers by Brous to go with it because it was so happy (yes, the soundtrack to the show was all my doing too, although we did have the very handsome DJ Asanka working his magic to make sure it all ran smoothly). 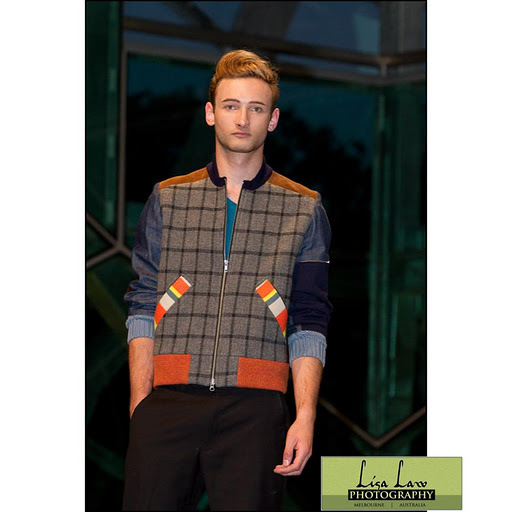 3rd Time by Glen Rollason offers meticulously-handmade jackets recrafted from old jumpers, suits and other garments, beautifully lined and finished. Unsurprisingly, the male models were all coveting these! 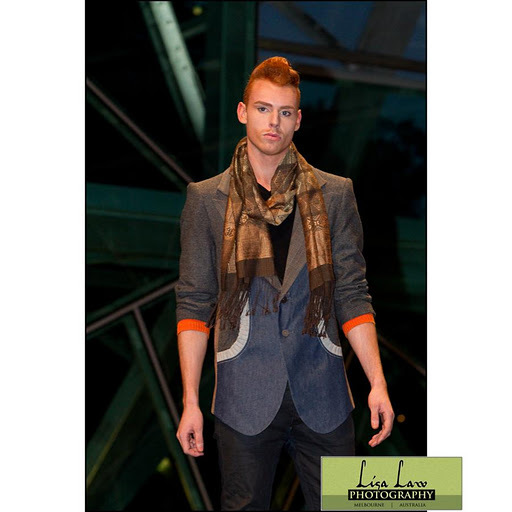 Cylk uses seamless knitting for its stretch pieces and eco-friendly fabrics such as modal and linen for its wovens. 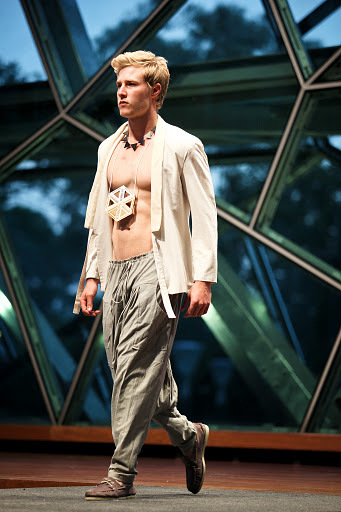 Hobo Boho is a fair trade label offering unisex pieces that are probably best described as “urban luxe”. It is created by Roopa Pemmaraju who has an eponymous label which you will see further on. The edgy accessories worn here are hand created from recycled laminate and other materials by Brahman Perera of Elgar and Lyle. 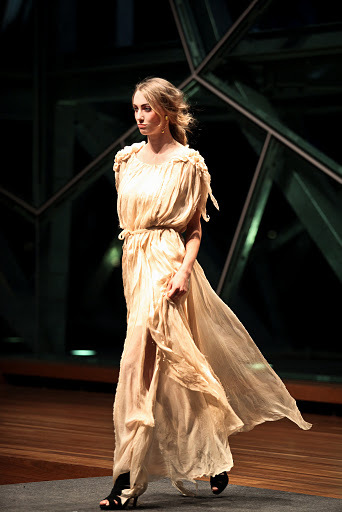 New label PaulineLoui upcycles secondhand clothes to create pretty pieces like these. The handbags are by Ethical Clothing Australia credited label Lydra, which is run by Linda Vydra. Something of an entrepreneur, Linda has found some skilled senior ladies to create her pieces from material offcuts. 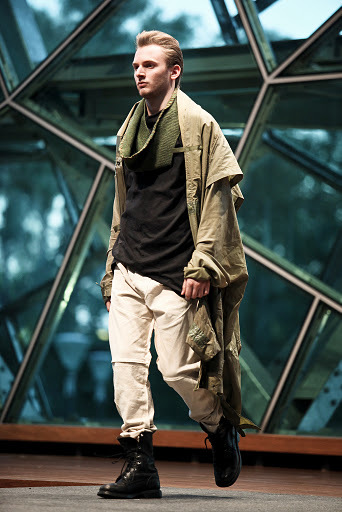 Urbandon upcycles clothing and other items to create aesthetically interesting menswear – the outfit below is a great illustration of this as the coat was originally an army tent, the scarf was a jumper and the pants were a painter’s dropcloth (must have been a neat painter as there is not too much paint on the pants!). The T-shirt is made from organic cotton. 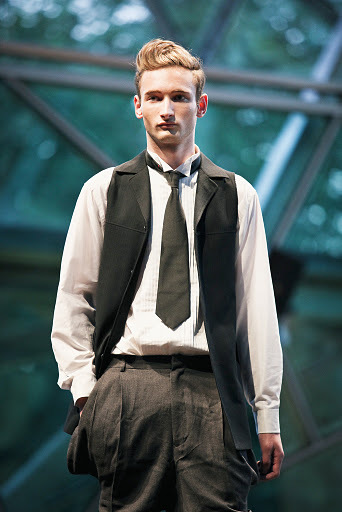 The outfit below is a bit simpler – a suit jacket has been refashioned into a vest and pants have been retailored for a new fit around the calves, although unfortunately this pic doesn’t show that. Bento offers a small but flexible, good quality range of clothing for women that is all made within 20km of the brand’s Melbourne studio. Oh, and designer Samantha Hardman also writes an extremely thoughtful (and at times exceedingly helpful) blog. The clothes are just about all office-appropriate, but I think this dress is probably more suitable for more special occasions. I put hand-macramed jewellery by Sollis with the Bento pieces – definitely worth clicking over to the website as you can’t see things so well here (sorry!). Sosume is another label that is safe for work (and the environment, thanks to their use of the latest eco-friendly fabrics). The accessories are by Mainichi and are made from beads, scraps of leather and those little fish-shaped soy sauce bottles you get with takeaway sushi. Bachhara is another label that is created under fair trade conditions in Bangladesh. 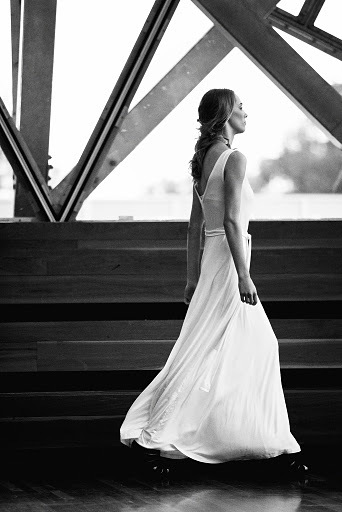 It is definitely worth heading over to the site to find out more about this brand as the story is as inspiring as the dresses are beautiful! Here’s the Roopa Pemmaraju label I mentioned earlier. Floaty fair trade kaftans and beachwear for our hot summers, jazzed up with jewellery by Ghost and Lola made from all kinds of vintage bits and bobs. Phew! I hope all that reading hasn’t made you tired, but inspired! That’s me on the very far left, where I was sitting backstage to call the models out in the right order and jiggle away to the soundtrack. Thanks to photographer Chealse Vo who captured this moment and is responsible for all the photos here (except for the two 3rd Time shots which are by Lisa Law) – click on the links to see more photos from the night! And of course thanks to Em Rusciano, Greens councillor Cathy Oke and RMIT’s Karen Webster who spoke before the show, all the fantastic volunteers including the set maker Sian Pascale whose work you can see here, DJ Asanka, RMIT students who presented their designs after the fashion show and the staff who helped them, Adorn for their great work with the makeup, the students and staff at Elite Hair & Make Up Academy for their heavenly hair creations – and all our sponsors too! I hope I haven’t forgotten anyone… if I have, sorry, and thank you! Great wrap-up of what looked to be a wonderful event. Next time I am coming down! Well done for putting such an awesome show together! Keep up the good work. It was a great show Leeyong, and all round successful night. Congratulations!! I had a great time, thanks Leeyong! Very happy to have been a part of it. 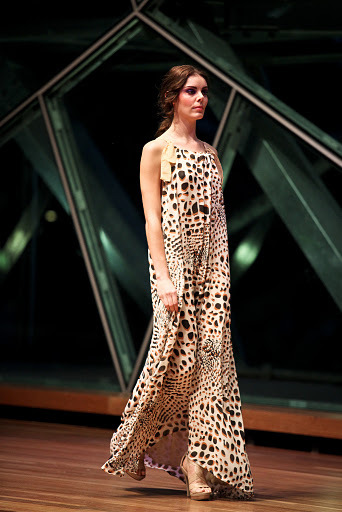 Nice fashion show, the dress looks fresh and cool.